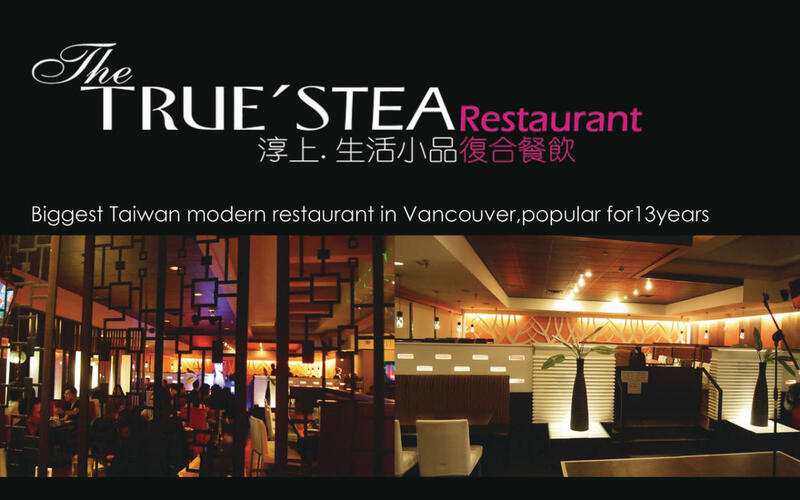 Located on Richmond's Food Street and founded in 1998, The TRUE'STEA Restaurant is one of the biggest Taiwan style restaurants in the Lower Mainland. Offering you over 300+ Food & Drink choices they are also a favorite dessert spot with their famous soya pudding and cheese cake. 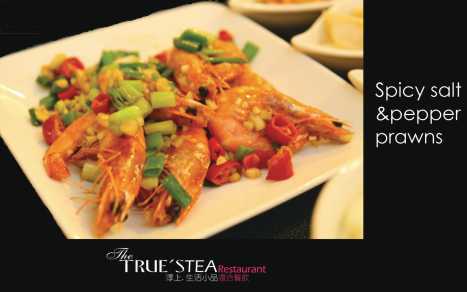 They offer Wi-Fi and Free delivery. 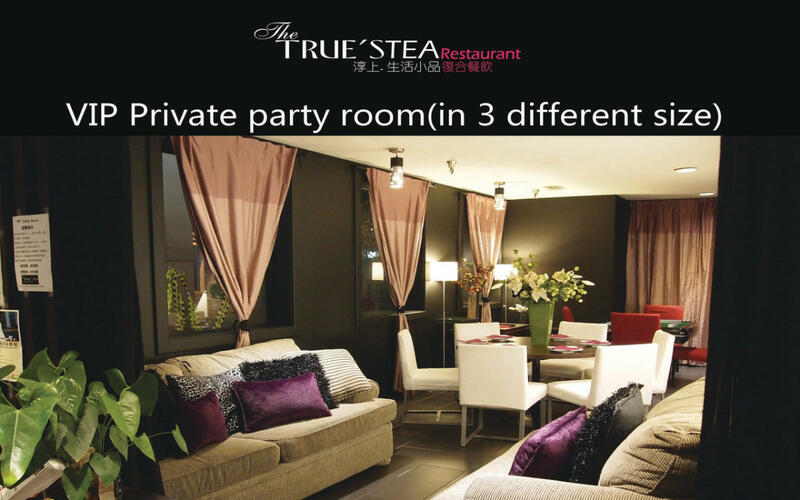 Your party, small or large party can be easily accommodated in one of their private party rooms equipped with Auto-Majhong tables. Interested in darts? Japanese Darts Machines are waiting for you. On the weekends drop by to hear live music shows.